Big changes could be coming to a prominent downtown Scottsdale corner occupied by a small restaurant. 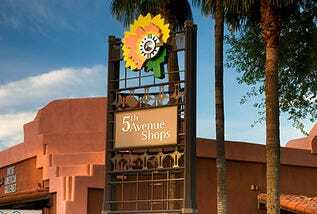 Old Town Group has submitted a request to the city for Development Review Board approval of a site plan, elevations and landscaping for the northwestern corner of Fifth Avenue and Scottsdale Road. The company owns numerous downtown venues, including Morning Squeeze, Spanish Fly Mexican Beach Club, Stingray Sushi and Geisha A Go-Go.